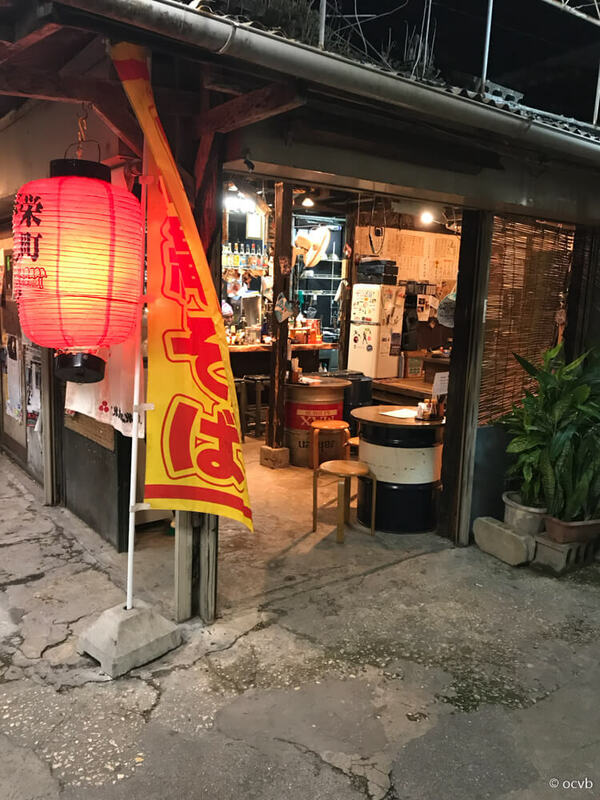 My first impression when I arrived in Okinawa was how welcoming people are, even if you don’t speak Japanese people seem interested and do their best to communicate with you. I have had many fun conversations using hand gestures along with broken Japanese and broken English to get our thoughts across to one another. 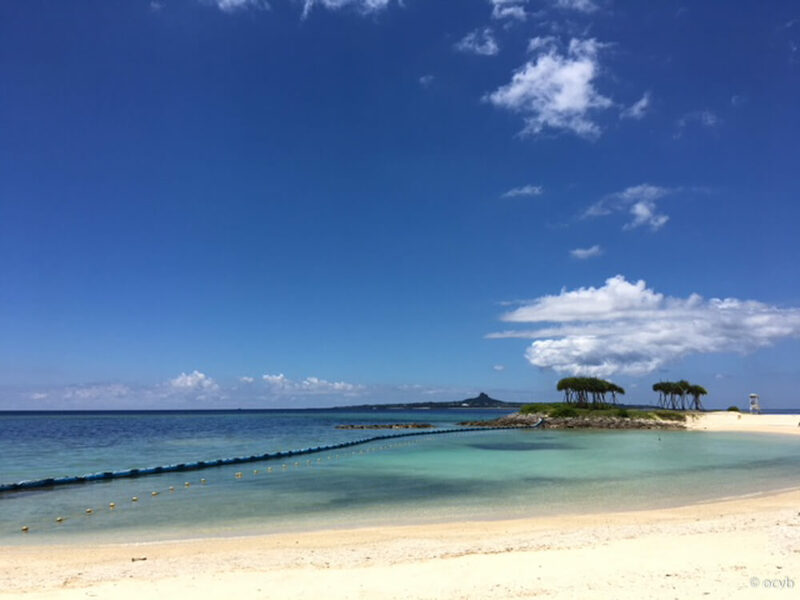 There are many places and many ways to enjoy Okinawa. 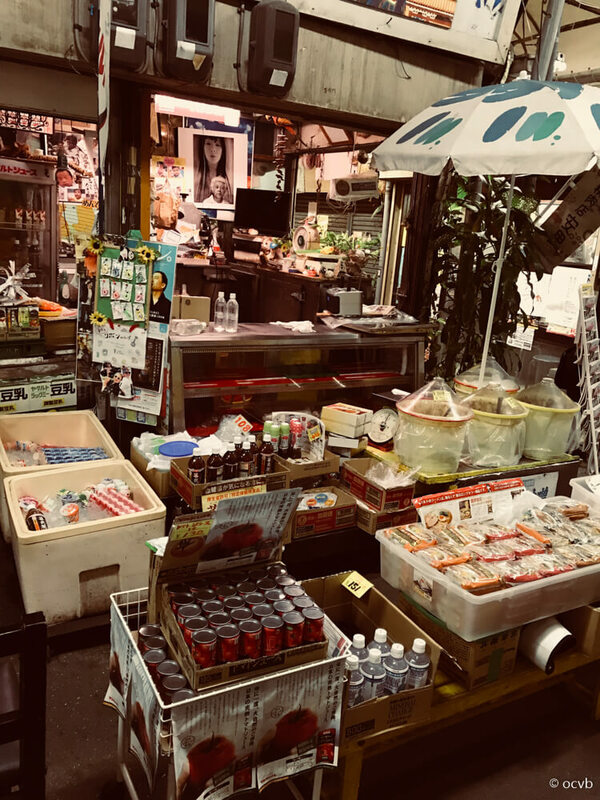 I personally enjoy going to the smaller streets behind Kokusai dori (International Street) to explore the many small shops or in the old arcade、Sakaemachi by Asato monorail station. 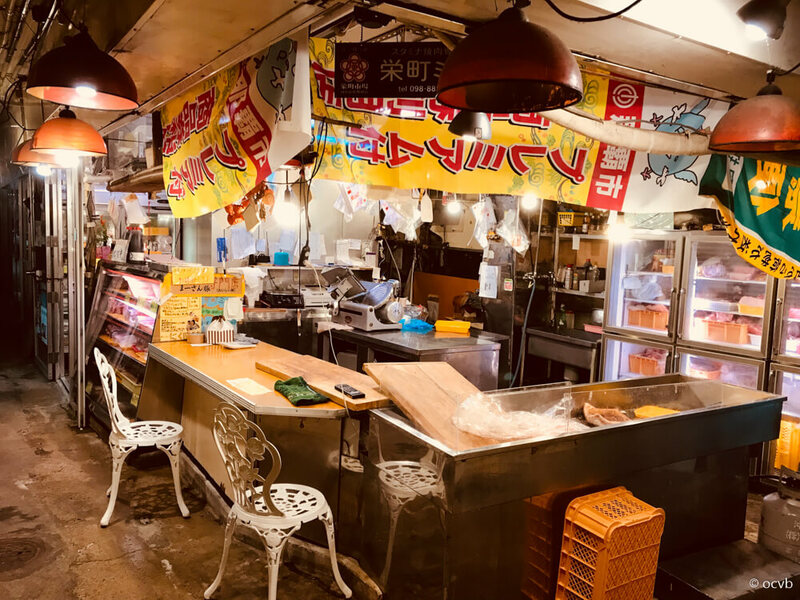 The Sakaemachi arcade is open during the day and many of the locals come here to get their groceries from the butcher,fruit and vegetable stores. I get the feeling that they have been going there for years and you’ll often see the local customers stopping for a chat with store staff/owners. There is a butcher shop where you can buy anything from sausages, marinated and sliced BBQ meat or any part of pork you could imagine. When I am having a BBQ at home, this is where I shop. 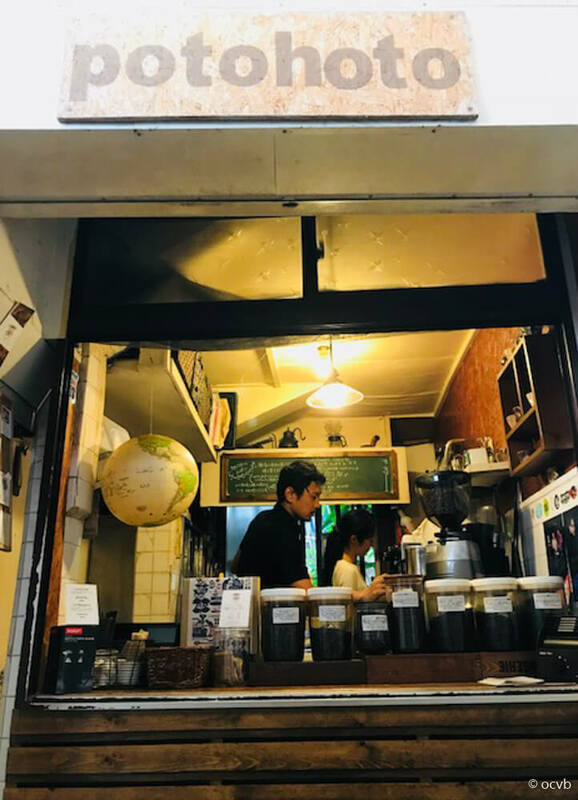 If you would like a good cappichino there is also a tiny coffee shop which can seat two or three people at the front counter, after living in Australia and being spoiled by excellent coffee almost everywhere I had struggled to find decent coffee in Okinawa. This shop run by one man makes the best coffee I have tasted so far, the cups are small but he knows how to make great coffee. During the evenings the grocery and homeware stores close for the day and many small bars start to open, people come for a drink after work and to relax. 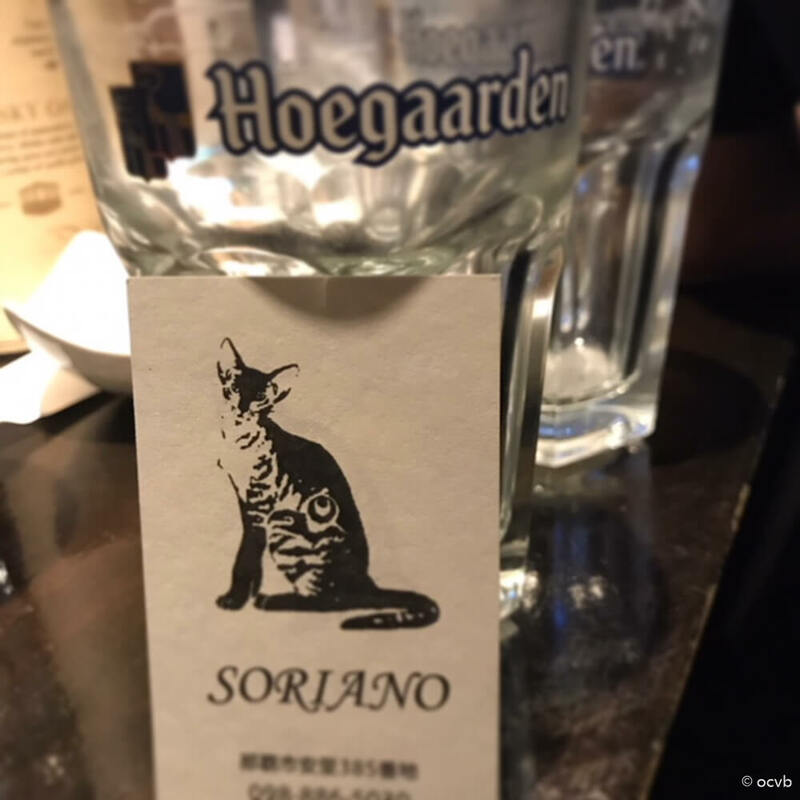 One bar which I found interesting sold only one product, Hoegaarden beer! Inside there is enough room for maybe six or seven people and has a nice atmosphere. 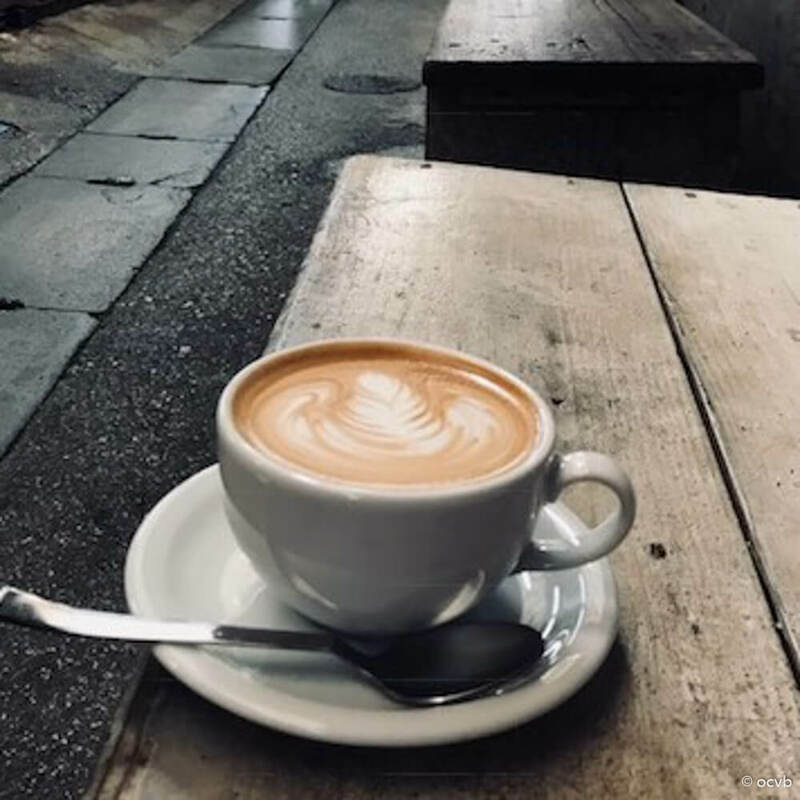 The owner is always friendly and open to having a chat. At one of the exits of the arcade and across the tiny street there is one of my favorite places to have a drink and to eat. 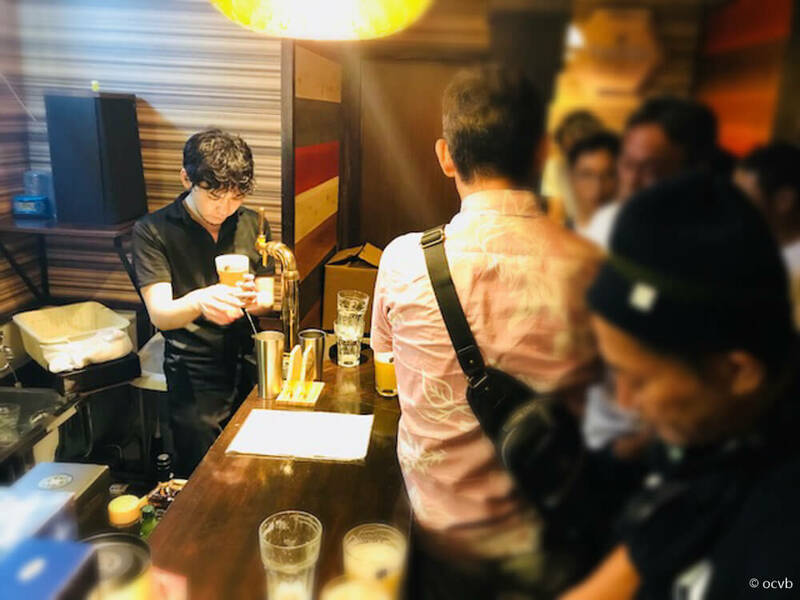 They mainly serve Kushikatsu. 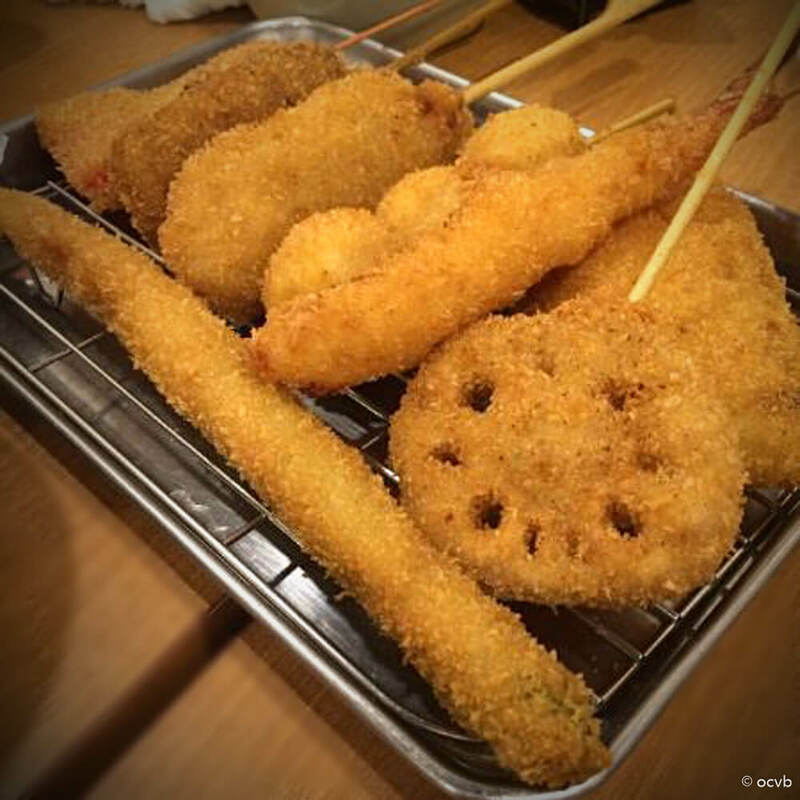 Which is various meats and vegetables on skewers deep fried in a light crispy batter. These are super delicious and go well with a nice cold beer. Around the side of the main seating area they often have two sofas and and some stools around a table, this is great if there is a large group of people. I was surprised the first time I went because it is actually on the edge of a carpark. 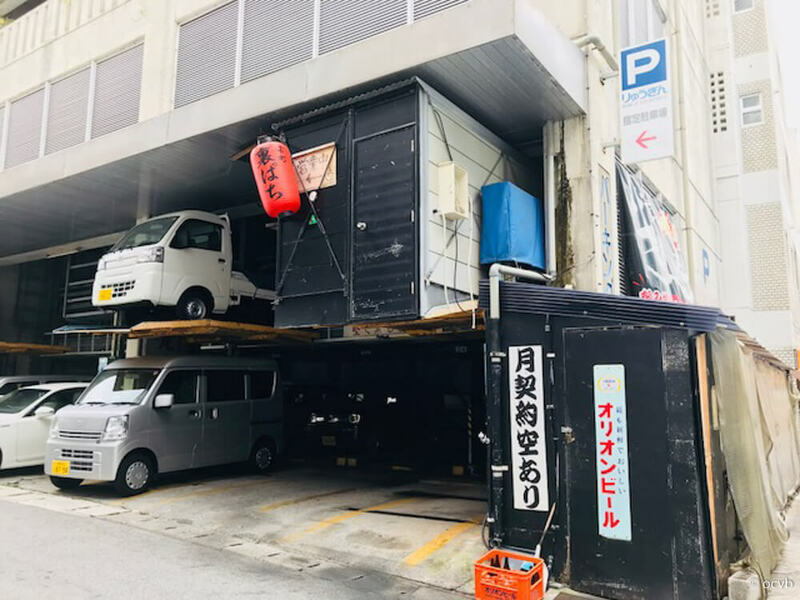 This carpark is one where you drive onto the ramps and your car is elevated up to make room for the next car. 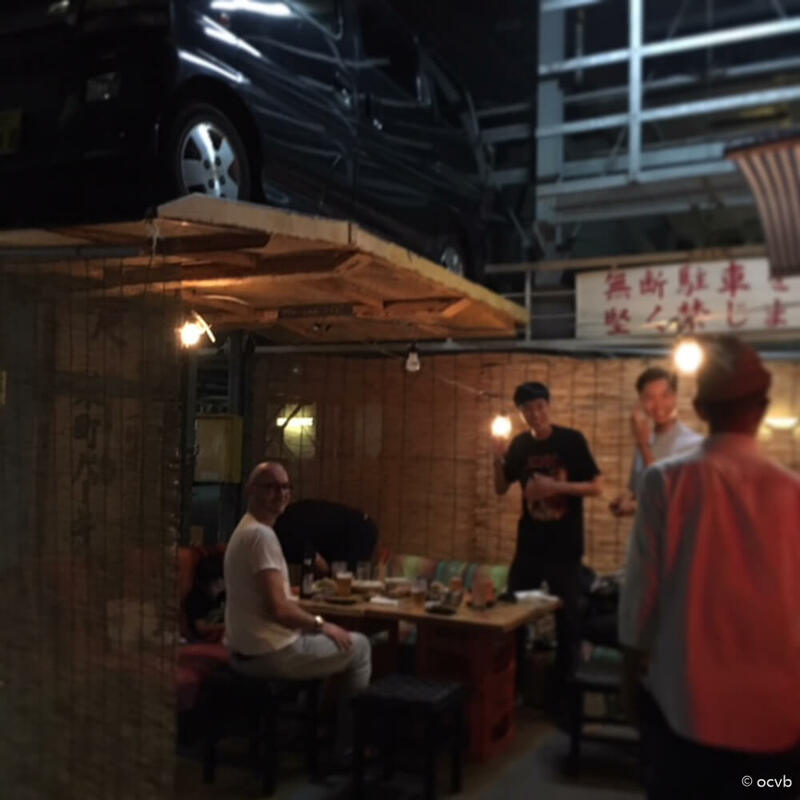 Often you will be sitting under one of the parked cars! Once a month between June and October, there is a small festival / gathering at the Sakaemachi arcade and it can be quite busy at times. I’ve seen some elderly ladies on a small stage rapping about Sakae Machi! They may be older but you can see from their enthusiasm and energy they are still very young at heart. Many families come with children and enjoy the atmosphere. 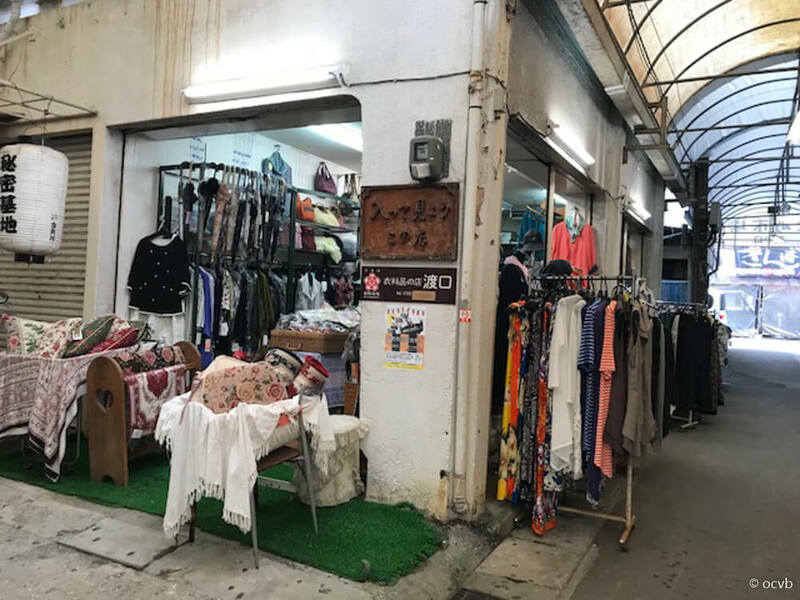 The old arcade, Sakaemachi and the surrounding areas are not new or glamorous, to me it is more like what life used to be like years ago. 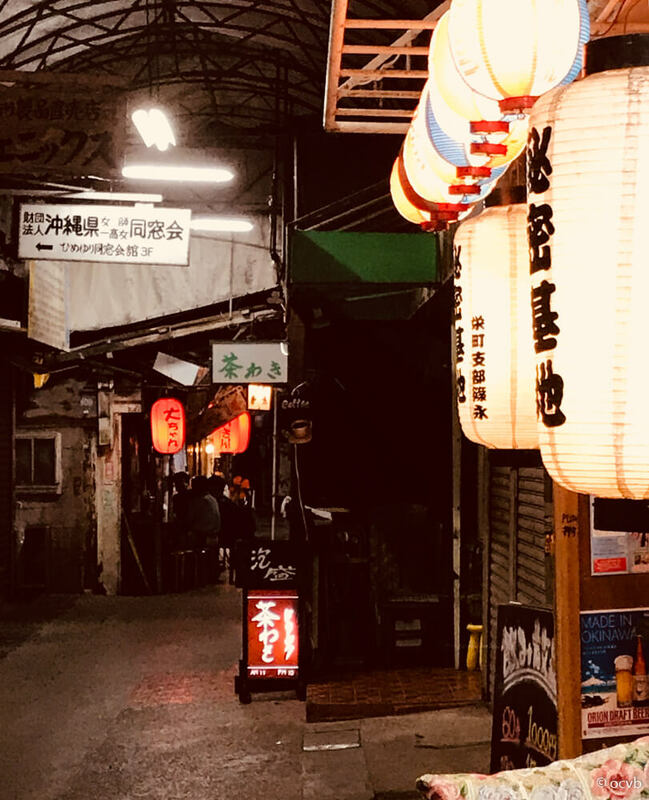 A place you can go where material things don’t matter so much but having a connection with locals and visitors is more important. The nearest station from Sakaemachi is Asato station. 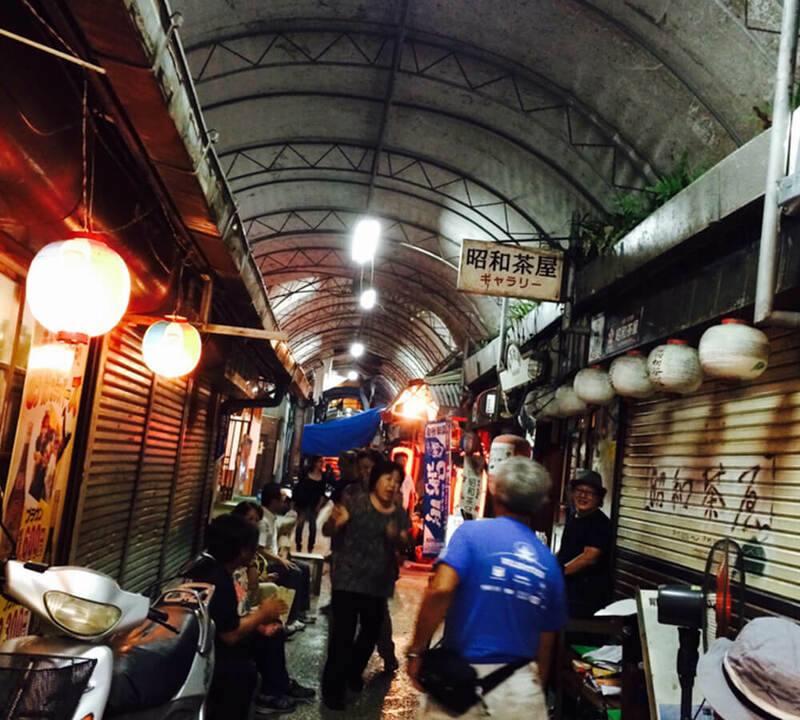 You can also walk from Kokusai street. I recommend you go and check it out for yourself!